The room was dark and packed with people, all exhibiting an odd look— much like the look that washes over carnival-goers just before the three armed alien in the glass jar is revealed. The lights began to glow on stage and a lone spotlight came up on a simple pedestal, upon which sat the star of this alien freak show… the Yamaha DMP7 digital mixer. Some suitable piece of music began to play – almost certainly Also Sprach Zarathustra – and as the excitement rose, and as the unspoken cue was given for all breathing in the room to cease, it happened. The faders moved. All by themselves! No wires, no magnets! Women gasped and strong men swooned. “Wow, that’s weird,” I thought. The day when the world saw its first digital mixer was over twenty years ago, yet people are still confused and baffled by the concept of this technology. Like so many others, then and since, I thought that moving faders were it. That was what a digital mixer was supposed to do…move its faders all by itself. But the truth is that those faders were merely an indicator of something much more profound: the ability to recall complete mixes…instantly. Since that humble eight channel beginning, we have seen the concept of digital consoles mature and evolve into a very powerful and mainstream technology. 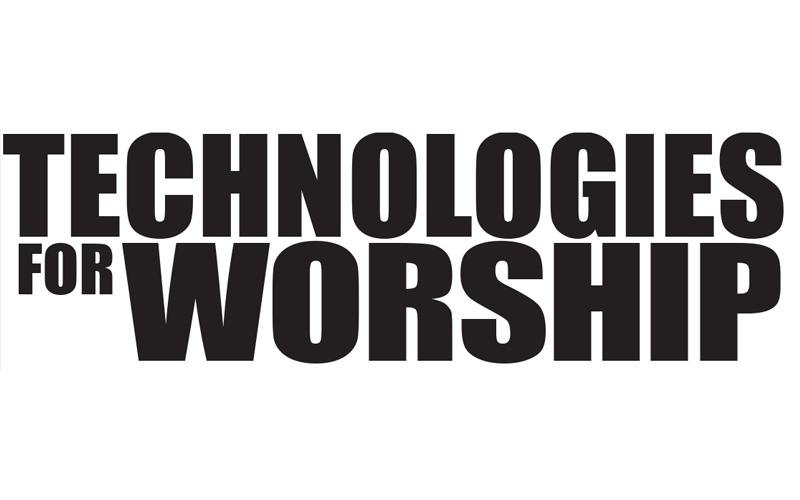 So why is this technology so important to the church? Simple. 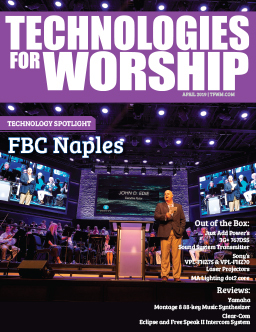 Like many of the ministries in the church, particularly small churches, the audio team is often made up of volunteers, meaning any assistance that can be rendered in the form of technology is worth its weight in gold. At the push of a button, an entire mix can be recalled for a service. In our little church for example, we have several congregations that meet. English, Brazilian, Spanish and Korean congregations all share the same facility. The Korean church is very small with virtually no tech staff, so the ability to have a selection of their typical worship service “snap shots” stored in the console is invaluable. We spent some time with them going over their needs and programmed them into the mixer. From that time on, they were a button push away from every audio parameter for that service. This is enormously important, particularly for staff that may have less in the way of “pro” audio experience. Time is another factor. Your church may have several different types of services on a Sunday morning with very different audio requirements. Perhaps you have a simple traditional service at 8:30 and a more complex contemporary service at 10:00. A digital console gives you the ability to store all of these services separately and recall them instantly. Comprehensive sound checks can be done during a mid-week rehearsal and instantly recalled and utilized on Sunday. Portable churches benefit as well in that you don’t have to start over each week to get your mix. Recall your stored service settings and they are there instantly, saving valuable set up time. So far, digital mixers seem to fall completely under the tool category, but there is a toy component that we need to watch out for as well. Most digital mixers have an enormous amount of processing power built in, allowing for dozens of dynamics processors and effects processors. 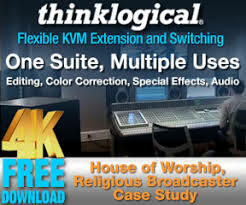 Though the average church audio engineer may have no experience with all of these delays and compressors and choruses and limiters and reverbs…he may feel compelled to use them. All of them…at once. This incredible amount of horsepower and flexibility is NOT an excuse to be a lazy soundperson. These are just tools, and like any carpenter will tell you, you have to learn to use them before you can build a house. Just because you have a compressor or a reverb does not mean you have to utilize it, but it is nice to have all that you could possibly want at your fingertips. And oh yeah…they are also instantly recallable with your mix. When you consider the current state of digital audio, we really are in a place in history similar to when the electronics industry transitioned from tubes to transistors. For a long time there was a choice between devices utilizing tubes and devices that were solid state. Now tube technology is rare indeed while virtually all modern electronic technology is solid state. It is likely that analog will transition to digital in much the same way, so when it comes to your church, it is not “if” you will have a digital mixer, but “when”.